Long before cinematic universes were a trend, fans were dying to see DC’s finest come together on the silver screen. 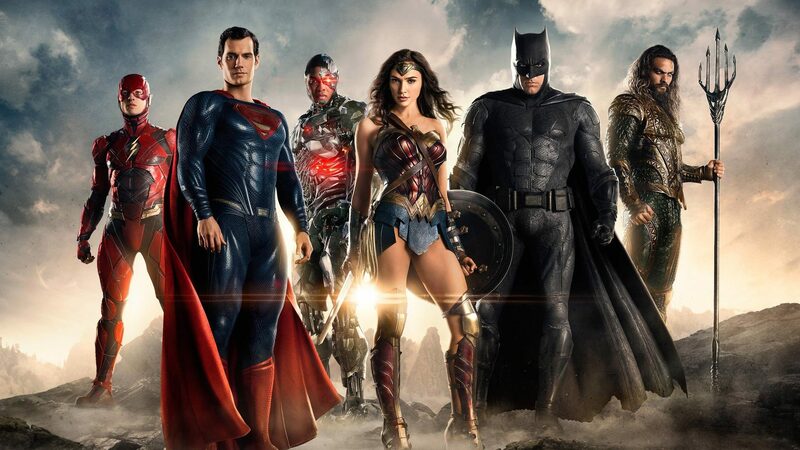 Following the disappointment of Batman v Superman, though, Justice League went from being the most anticipated superhero movie of all time to one of the most worrisome. The film’s production has been a nightmare, with Joss Whedon notably having to step in for Zack Snyder following a family tragedy. Even after Wonder Woman blew audiences away this past summer, skeptics were still convinced that the DC Extended Universe wasn’t going to pull this off. Against all the odds, however, the filmmakers have actually put together a pretty fun, albeit flawed, movie. Justice League is by no means perfect and it won’t change anything like The Avengers did five years ago. The pacing issues and plot holes we’re used to seeing in other DC films are present here too. You can also tell that Snyder shot some scenes, Whedon filmed others, and a good chunk didn’t even make it into the final cut. Considering that this project had so much stacked up against it, though, it’s amazing that the film turned out as well as it did. The cast is universally excellent, the visuals ooze with comic book flare, and the dialog often hits just the right mark. The story, for what it is, centers on an alien invasion of earth. Bruce Wayne (Ben Affleck) realizes that Batman can’t save the world alone. With Henry Cavill’s Superman seemingly out of the equation, he calls upon Gal Gadot’s Diana Prince/Wonder Woman to help assemble amass a team. Their pack of super friends consists of Ezra Miller’s Barry Allen/The Flash, Jason Momoa’s Arthur Curry/Aquaman, and Ray Fisher’s Victor Stone/Cyborg. As with any superhero team-up, the success of Justice League lies in its cast and the chemistry they share. Every player fits the bill here and the way they play off each other feels genuine every step of the way. Since Affleck and Gadot have already gotten a great deal of screen time in this universe, Batman and Wonder Woman are naturally the ones we connect with the most. It would’ve been more effective if our other three heroes had gotten their own solo movies prior to Justice League. In just two hours, however, they do manage to leave an impression and connect with us. Aquaman is cooler than we ever thought possible, The Flash of course gets plenty of hilarious one-liners, and Cyborg… well, Cyborg is kind of like the Hawkeye of the group. He’s not bad per se, but he’s nobody’s favorite. At least that’s more than can be said about the villain, an alien officer named Steppenwolf (Ciarán Hinds). He’s essentially Loki without the charm. His motives are nonexistent, his army is generic, and virtually nothing stands out about him. Aside from Loki Light, the film’s biggest problem concerns Superman. Without giving too much away, this subplot is where matters get really convoluted and there are about a dozen details worthy of nitpicking. On the whole, however, Justice League delivers where it matters most. The heroes all remain true to their comic counterparts. Even a few players that felt out of character in previous outings are much closer to how one would expect them to be. The action, while heavily reliant on CGI, is epic in scale and inspired to look at. Danny Elfman’s musical score manages to be nostalgic while also being innovative. While the film’s problems are major ones, the highlights are just too awesome to pass up. In that sense, you could say the film is to DC what The Defenders was to Marvel. It’s hard to say what exactly the future holds for the DCEU, but the studio finally has a solid foundation to build upon. Walking out of the theater, Justice League will leave you with hope for a better tomorrow. This entry was posted in Reviews and tagged Action, Adventure, Fantasy on November 15, 2017 by Nick Spake.